Charleston, SC, knows a thing or two about food. Known for its local seafood, and full of Lowcountry flavors and staple dishes like gumbo, fried oysters, and shrimp and grits, popular eating spots (like Hyman’s Seafood, A.W. Shucks Seafood Restaurant and Oyster Bar, and High Cotton) are bound to have long lines. But once you get a taste of the food you’ll know it was worth the wait. Charleston doesn’t play around when it comes to the culinary arts; in fact, the city is so proud of their cuisine that they have the Charleston Culinary Tours. These tours give local and visiting foodies alike the chance to get the inside scoop on the culinary scene. There are 5 different tours to choose from, all ready and waiting to give you a behind-the-scenes look—and taste—of Charleston. 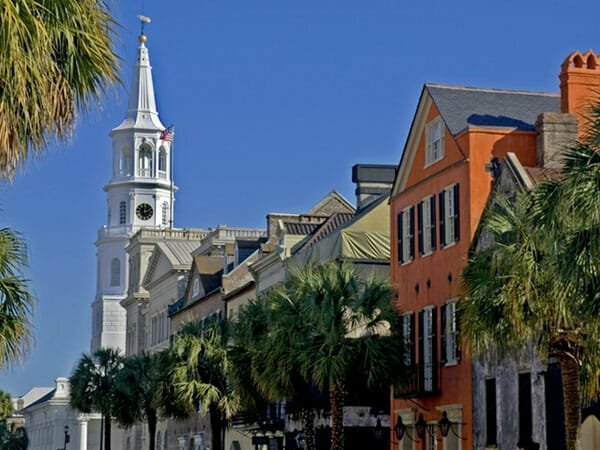 In between bites you’ll also gain insight to the city’s amazing history, with the tours taking you in and around the city’s historic district—which is the largest in the United States. Charleston has it figured out, combining food and history, two things people are eager to get a taste of when visiting a city. The only hard part will be deciding which tour you’d rather do. The tours are designed to give insight to different parts of the culinary world of Charleston, and range from 1.5 to 2.5 hours. You can take the Historic Downtown Culinary Tour, placing you in the midst of historic downtown. You’ll stop at four topnotch restaurants, each locally owned and operated, sampling dishes at each one. For a scene of higher energy and full of innovation, experimental design, and boutique shopping, try the Upper King Street Culinary Tour. The four restaurants you’ll visit are equally innovative and passionate about their craft, and showcase the area’s up and coming chefs. On the Charleston Farmer’s Market Tour, you’ll have a chance to pick out your own ingredients for your sampling. This tour highlights the city’s famer’s market, ranked #5 in the nation by Travel & Leisure magazine. You’ll meet local farmers, and at the end witness a true farm-to-table meal with ingredients you picked. Step into the kitchens of some of Charleston’s best restaurants on the Chef’s Kitchen Culinary Tour. This tour focuses on interacting with the chefs of the selected restaurants, creating more of a learning experience rather than sampling food. But don’t worry, your taste buds will enjoy coffee and pastries at the start, and a light lunch will be served at the last restaurant. Food aside, the final culinary tour is the Charleston Mixology Tour, where you’ll be drinking the samples instead of eating them. The art and craft of mixing cocktails is interesting, and this tour highlights cocktail culture. You’ll meet some of the best mixologists in the city, and enjoy a few craft cocktails along the way. The decision will be hard—these tours all sound appetizing. But a trip to Charleston doesn’t have to be a one-time opportunity. Communities like Daniel Island are situated close to the history, food and other appeals of Charleston, making it easy to experience all the city has to offer. These tours are the best way to get a feel for the culinary scene, and you’re guaranteed to enjoy more than just Charleston’s good food.